Struck in 22ct gold to Proof standard, this limited-edition presentation of just 150 coins is issued with a presentation box and a numbered certificate of authenticity from The Royal Mint. The obverse design is Jody Clark's fifth portrait of Her Majesty Queen Elizabeth II. 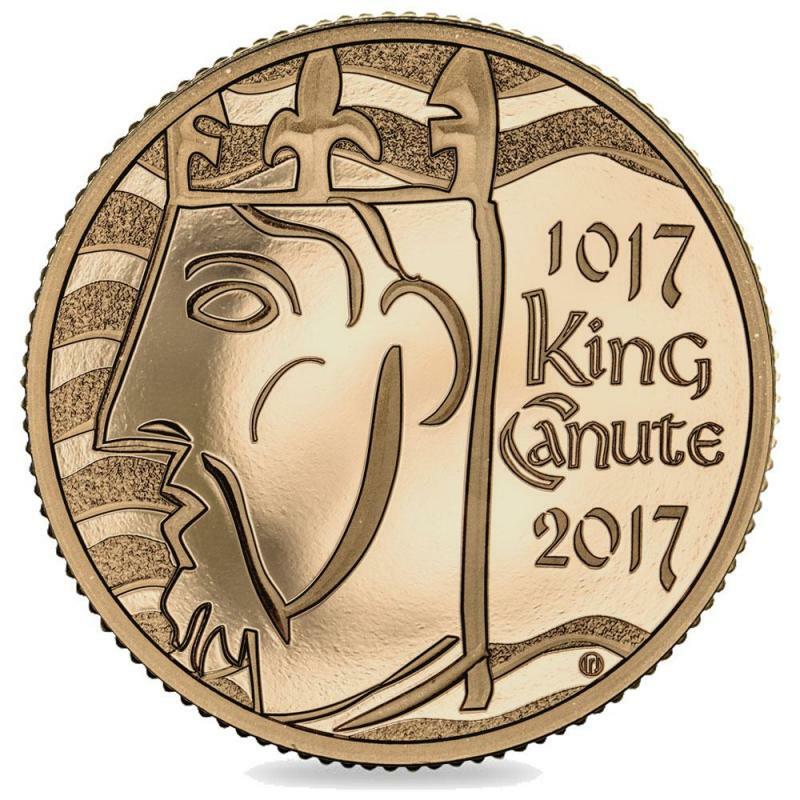 On the reverse is a design of King Canute by Lee R Jones with the inscription ‘1017 King Canute 2017’. This highly sought after coin is sold out with The Royal Mail so don’t miss your chance to add this to your collection before all end up in private collections. 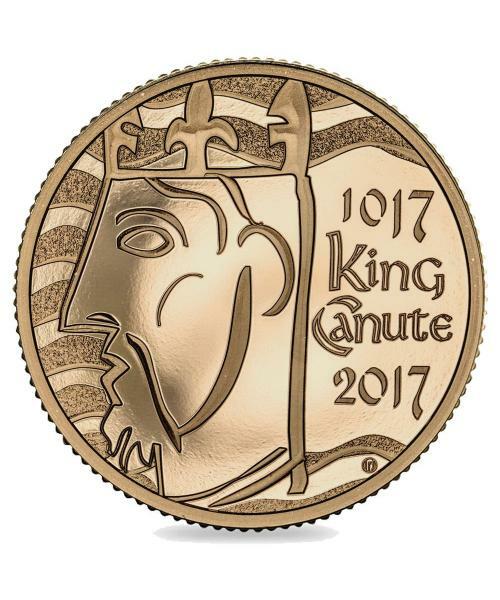 In 1017, Canute was crowned King of England. As a Viking ruler, and later accession to the Danish thrown bought the crowns of Denmark and England together and he was able to protect England from the devastating Viking raids which had blighted the kingdom for a century. Knut was exceptionally tall and strong, and the most handsome of men, all except for his nose, that was thin, high-set, and rather hooked. He had a fair complexion none-the-less, and a fine, thick head of hair. His eyes were better than those of other men, both the handsomer and the keener of their sight. Given its unique nature of being the first 1,000-anniversary commemorative five-pound coin from The Royal Mint and its limited mintage of just 150 coins, this is a must-have for collectors. 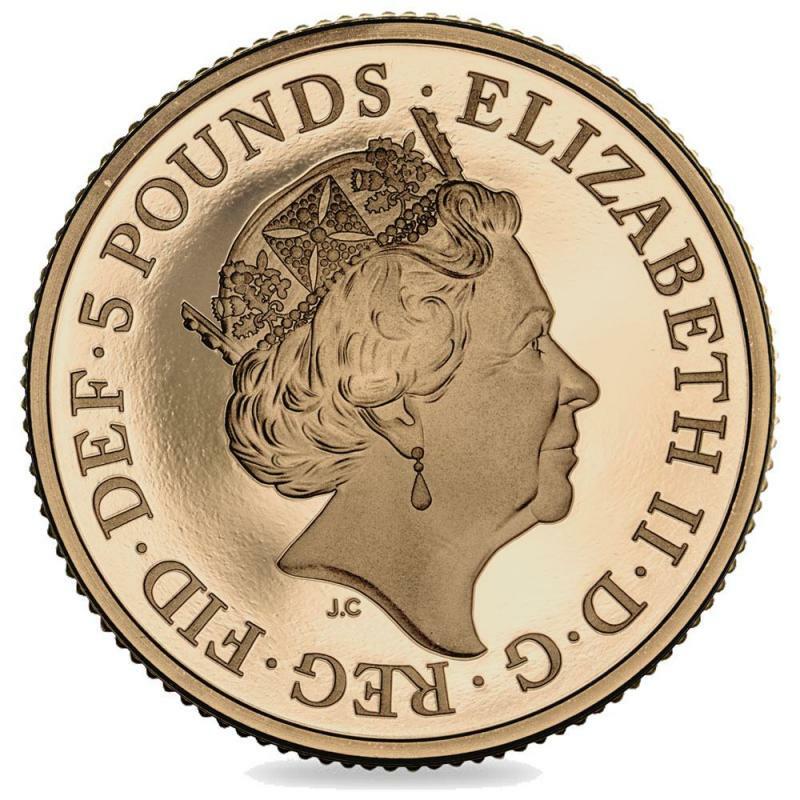 Other similar issues include the United Kingdom five pound 2017 gold proof set. A gold proof set comprising 2017 Centenary of the House of Windsor Five pound, 1000th Anniversary of the Coronation of King Canute Five Pound, World War I - The War in the Air Two Pound, 200th Anniversary of the Death of Jane Austen Two Pound and finally the Sir Isaac Newton 50p.